When your serious about increasing your performance level in any sport that involves an intense cardiovascular level of fitness, you know it involves extremely hard work and dedication. 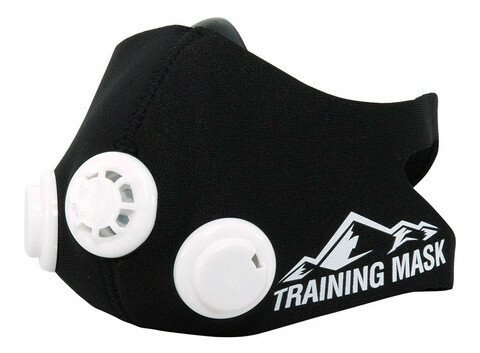 Brazilian Jiu Jitsu is one of these sports and I found this training mask a great tool when cross training for the sport. The found drilling with the mask rather easy with most techniques and I feel it didn’t get knock around to much. The mask really did fit snug and feels surprisingly comfortable. I could notice in the first few minutes the difference in intensity the mask provided when drilling. One thing I noticed after training with it for a solid session was that when I took the mask off and drilled with the same intensity… it felt easier. Seems unrealistic, but it was an immediate result I noticed. When performing my circuit training with the mask, with no surprise, it really pushed my intensity level with each and every exercise. I really noticed with drills such as box jumps and sprints the amount of extra effort it required to perform the movements.